“I have fought the good fight, I have finished the race, and I have remained faithful. 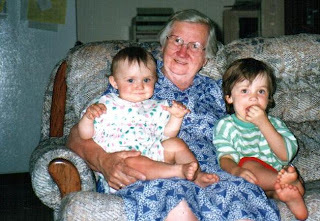 Yesterday we got the news that my grandmother’s sister, Tante Sara as I called her, went home to be with Jesus. 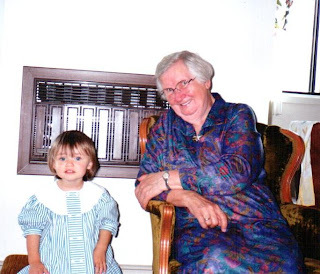 She was the last one to go from my grandmother’s side. Since my grandmother died over 24 years ago, and for over 13 years of those 24 we lived here in Canada, Tante Sara also became my Oma. My kids called her Oma Sara all the time. There are so many memories that come to my mind when I think of her. Most of those memories are from the time when she lived in Donwood South, on the top floor. She so loved her balcony. She had her morning time on that balcony. And what a view she had over a part of our city! 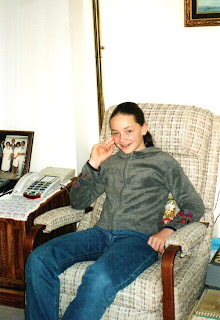 Then she had a favorite chair, the Oma Sara chair, where she did a LOT of crocheting. She was a master at making beautiful, large table cloths or bedspreads. No pattern was too complicated for her. And yes, one of my prized possessions is a table cloth crocheted by her. It was a pattern that I had seen in one of my German magazines. She loved it a lot and so I made copies for her and enlarged the pattern, and she made quite a few with that pattern. Next to her favorite chair were her Bible and her tapes with German sermons. And then she also had a little footstool always close by. That footstool had a storage compartment, where she kept her prayer book, with notes, bulletins, missionary letters. And I know that she has prayed for me and my girls by name every single day. This past Wednesday I took two of my girls to see her one more time and to say good bye to her. And what did she tell me? Teach your kids to pray! Those were some of her last words to me. Prayer was such a big part of her life. She told me so often, that many times that was all she could do. Especially once she got into Donwood Manor, she would always tell me how much she prayed for people that were dear to her. 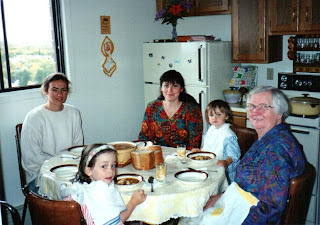 Because Donwood South was located next to our church, we have spent a few Sunday lunches at her appartment. She was an excellent cook. 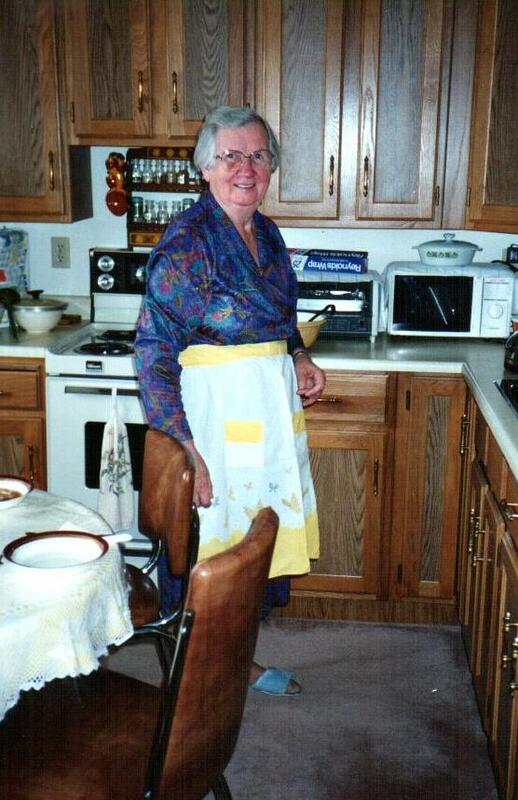 She loved to bake. She also loved to sew. And I loved that about her. I learned to sew from my grandmother, Tante Sara’s sister. And so there was again something that we had in common and that we shared. She introduced me to quilting. There was a quilting group at Donwood South, and Tante Sara was part of it. One day Tante Sara asked me to buy some fabrics and some batting and she made arrangements with the women of her quilting group, and I was able to join them for 2 days and we all made a queen size quilt together. I still sleep under it. It’s very warm and cozy. And every time I change the duvet cover and see the quilt, I think of Tante Sara and those 2 days that I spent with her and her “quilting women”. There are also so many memories of Christmas and birthday celebrations. 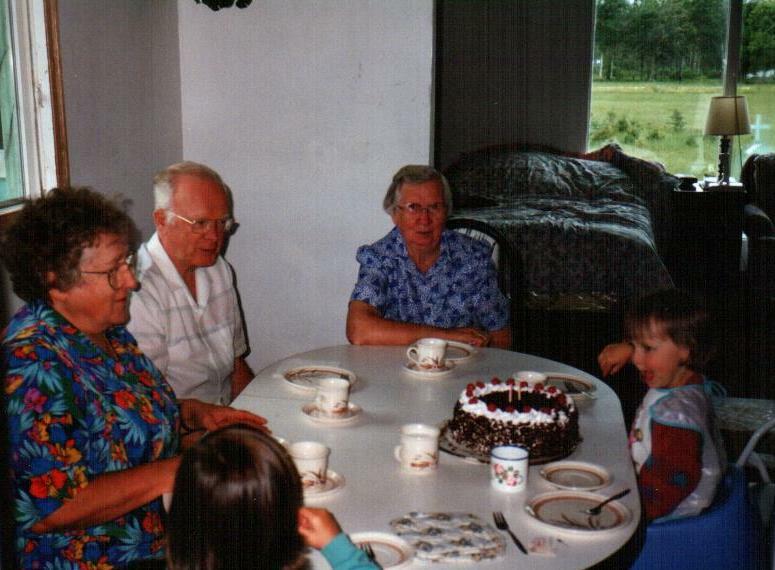 Since my parents and siblings were still living in Germany, my kids and I were adopted by Tante Sara and another couple, Henry & Tina Rempel, for all kinds of family celebrations. Again, since our church was just next to her appartment building we were sometimes invited to spend Christmas Eve with Tante Sara. There are many, many more memories… Like the one from July 1992. We had gone strawberry picking over the weekend. On our way back from the strawberry patch we dropped off a pail of strawberries at Oma Sara’s. And on Monday I had planned to make strawberry jam. Around 8 am I heard a knock at my door. And there stood Oma Sara. She had gone for her walk and on her way back she made the decision to come to our place. She wanted to help, either with watching the kids or with making the jam. I had a 2 1/2 and a 13 month old at that time. Or the memory when she offered to watch my kids while I was at the doctor’s. My oldest two were 2 years old and a few months old baby. I explained to her the bottle feeding. But I never explained changing a diaper to her. When I got back from the doctor’s office, she was all proud and presented me my baby, telling me, she not only fed my baby, but she also changed the diaper! She just couldn’t stand the stinky baby after she had fed it. When I got home and it was time to change my baby again, I saw that the diaper was on backwards. But I just smiled and thanked God for my Tante Sara. She was so courageous. I always admired her the way she mastered life. 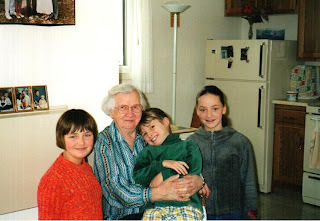 I LOVED, loved, loved listening to her stories of persecution, her time on the trek from Ukraine to Germany during World War II and then their journey on to Paraguay. And her stories of how she started out in Canada with her son and her sister Lena. 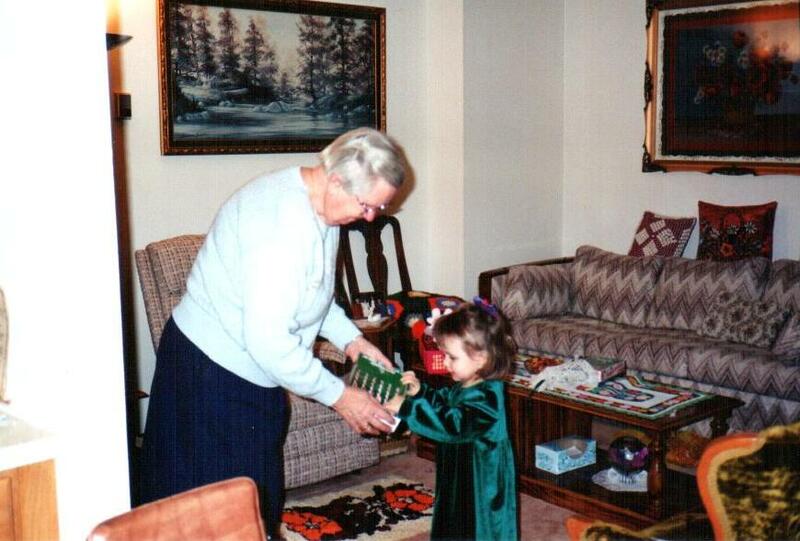 She was always so grateful. Grateful for God’s protection, for God’s provision, for God’s guidance. I don’t remember her complaining even once. Even when she moved from hospital to hospital and then to Donwood Manor, she was still grateful for all the help she got, for the room she was in. 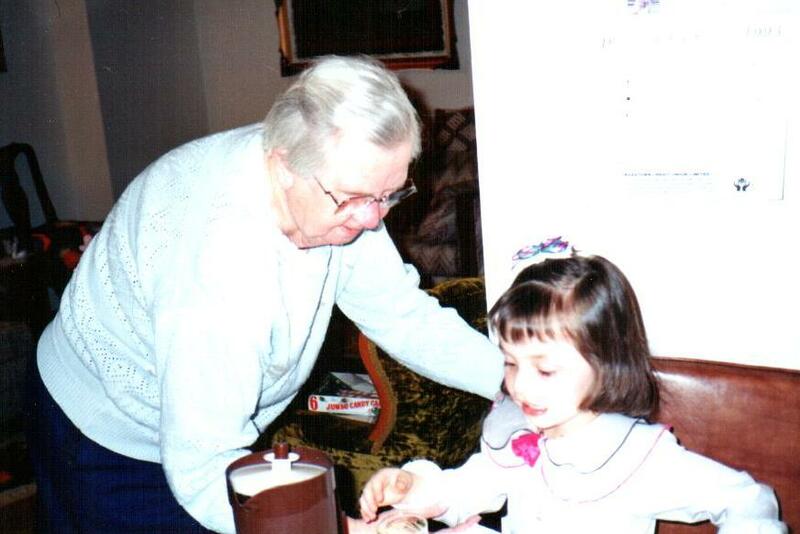 I will always cherish those visits at Misericordia Hospital where I was able to visit her several times a week. I’d like to have a faith like hers. I want to love my Jesus like she did. I want to know Jesus like she did. I miss her, yes. But I also know that she longed to be with Jesus. And now she is. My girls and I will always be grateful to God that we knew Tante and Oma Sara. We won’t forget her. 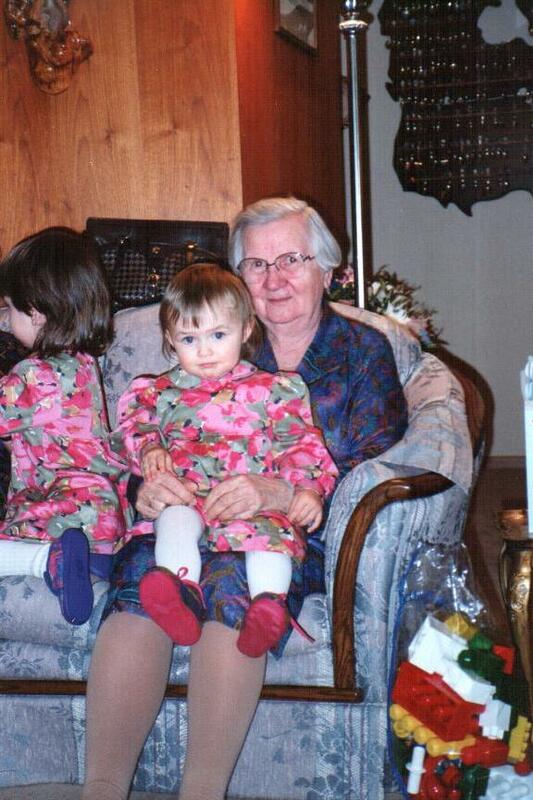 My girls with Oma Sara in December 2001﻿.